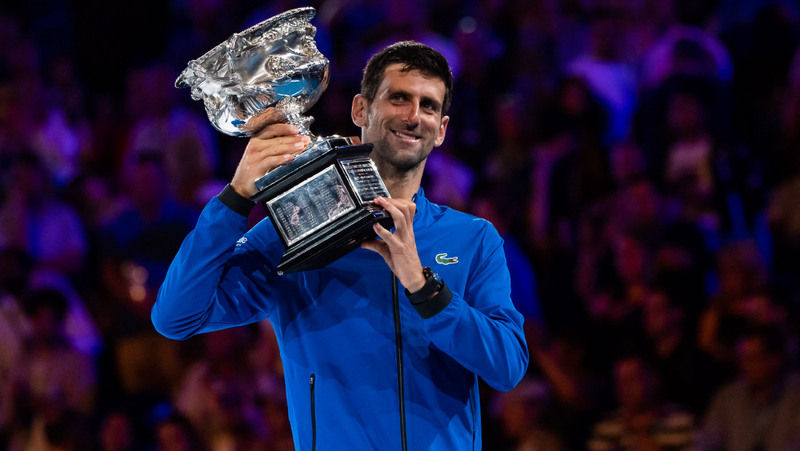 Nole rewrites tennis history with seventh Australian Open title! As the only player to win seven trophies in Melbourne, Novak has written a new page in tennis history! Top seed Novak Djokovic outplayed second seed Rafael Nadal 6-3, 6-2, 6-3 to claim a record seventh Australian Open title on Sunday. Tonight’s match-up was the 53rd between the pair and their eighth Grand Slam final, with Novak now enjoying a 28-25 win-loss against his rival. The Rod Laver Arena crowd witnessed absolute perfection. Djokovic, who is seven from seven in Australian Open finals, broke the Spaniard’s serve five times and was rarely troubled on his own in a two hour, 4-minute victory. Novak was virtually flawless, he took the first set conceding just one point on his serve. The 31-year-old Belgrade native continued to produce a tennis masterclass, breaking twice in the second and third sets for an unprecedented seventh crown. Match statistics: aces (8-3), double faults (0-2), winners (34-21), unforced errors (9-28), total points won (89-53). You can see the photos from the Australian Open final here. The Serbian world no.1 captured his 15th Grand Slam trophy that gives him sole ownership of third position in the Grand Slam title leader list (Federer 20, Nadal 17), surpassing his childhood idol Pete Sampras (14). Novak had previously lifted the Norman Brookes Challenge Cup in 2008, 2011, 2012, 2013, 2015 and 2016. With the magnificent win today he surpassed Roy Emerson and Roger Federer in terms of all-time victories in Melbourne. When the new ATP rankings are released on Monday, January 28, Djokovic will stand on top with 10,955 points, 2,635 points clear of Rafael Nadal at no.2. Next tournament for Nole will be the BNP Paribas Open in Indian Wells from March 7-17. The five-time former titlist was stopped by Taro Daniel 6-7 (3), 6-4, 1-6 in his opening match last year. 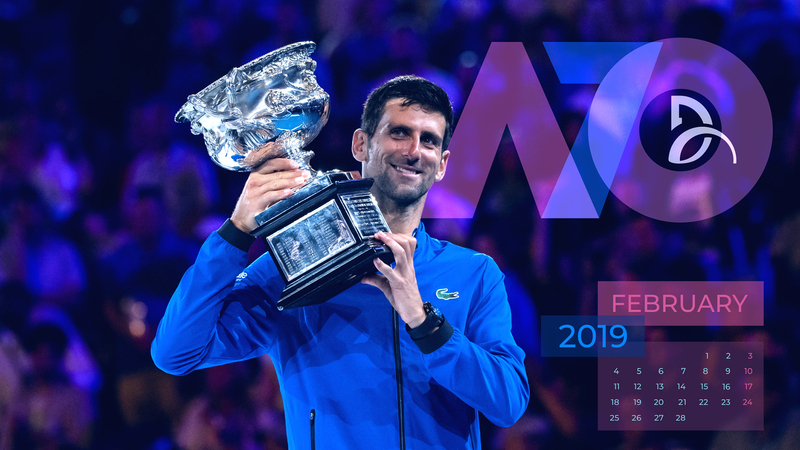 You can download Nole February desktop calendar here.